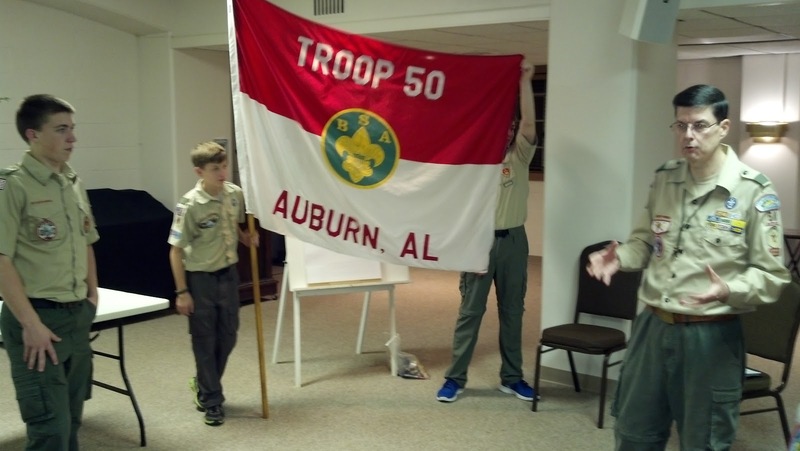 Boy Scout Troop 50 | Chattahoochee Council | Auburn, Ala. | #troop50: I will survive! Troop 50 made wilderness survival the focus of its Jan. 14 troop meeting, which included visiting Webelos IIs from Pack 29. After the opening, our program patrol, the Anonymous Patrol, led the troop meeting in a review of wilderness first aid. 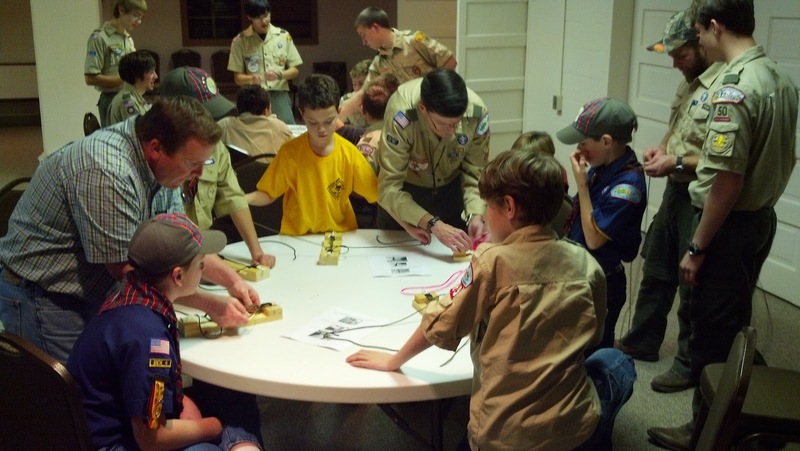 Scouts, Webelos IIs, parents and leaders then joined together to attempt making paracord survival bracelets. 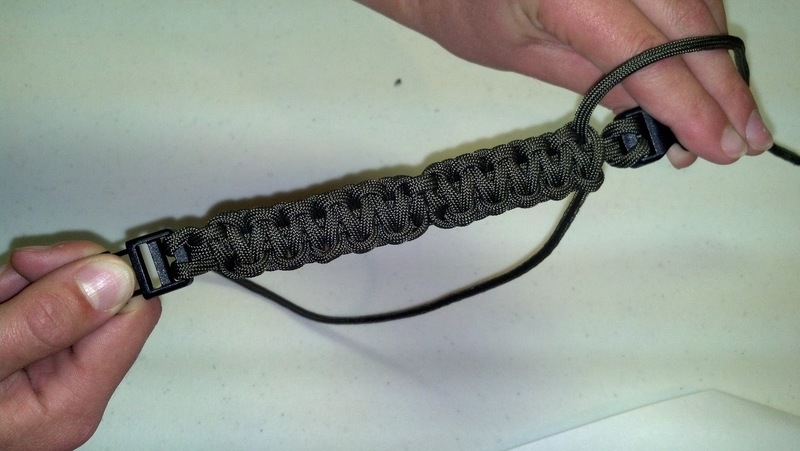 Scoutmaster Andrew Baird reviewed the many uses for paracord in a wilderness survival situation, from providing material to lash, create survival shelters, fish, provide first aid, and even floss your teeth! The troop will exercise its wilderness survival knowledge during its first troop campout Jan. 26-27. At the end of the meeting, Scoutmaster Baird unveiled the new Troop 50 flag and explained how flags create a sense of unity, identity and connectedness for groups like Boy Scout troops and as far back as the knights of old. View more photos from our troop meeting on Troop 50's online photo album.